No, that’s not it at all. The reason is the fairly sudden, absurd popularity of the Doğu Ekspresi. “What the heck in the Doğu Ekspresi and why is it so popular?” you’re wondering. 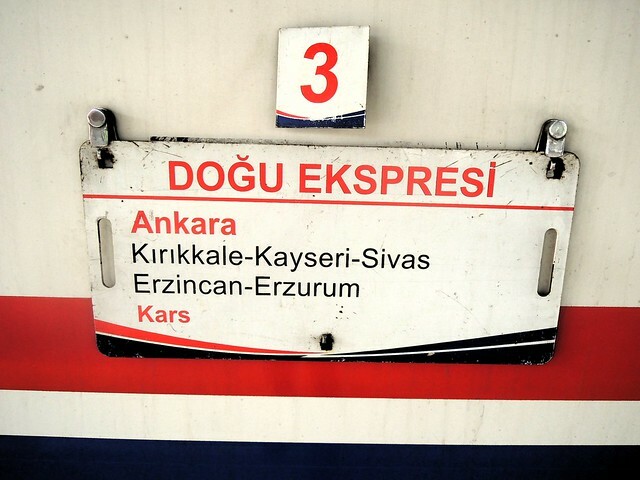 Doğu Ekspresi is simply the train that Turkish Railways runs from Ankara to Kars. 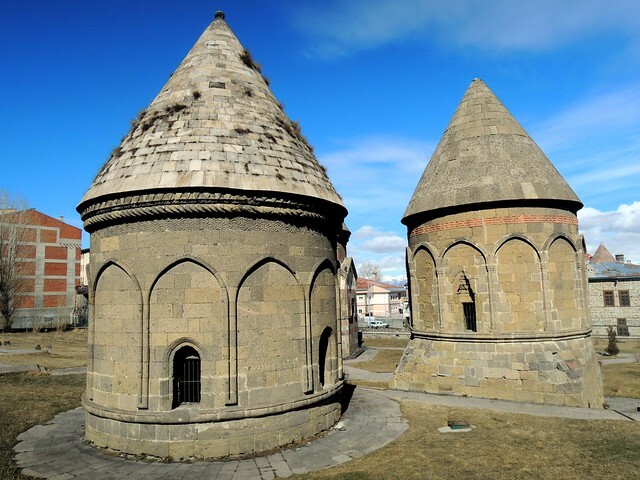 Sage and I took it when we came to Erzurum, and I took it through Erzurum again a few years later to backpack in Sarıkamış. Getting tickets then was easy. 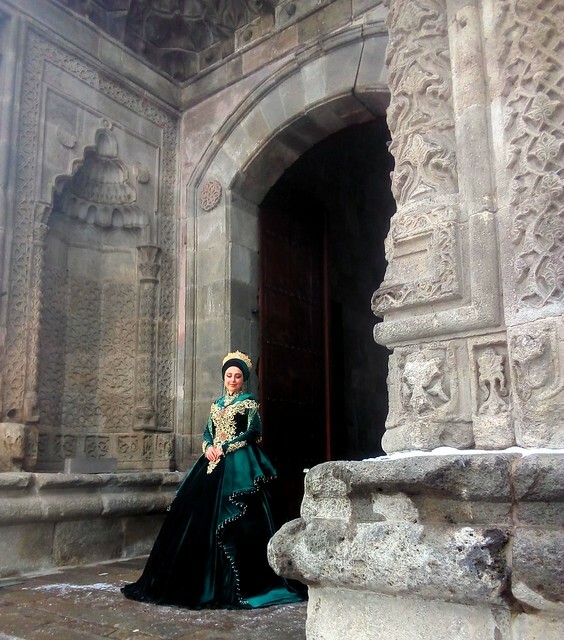 Getting tickets now is next to impossible unless you book a tour — thus all the tour groups wandering around Erzurum (and even more in Kars, I’m told). But why so popular? Well, multiple sources assure me that the reason you can’t get a ticket for the Doğu Ekspesi is because of social media. Apparently every Turk wants their selfie at the entrance to Çifte Minareli Medrese. I wonder what the locals think of the increase in tourism. A bus driver told me it’s brought some life into the city. 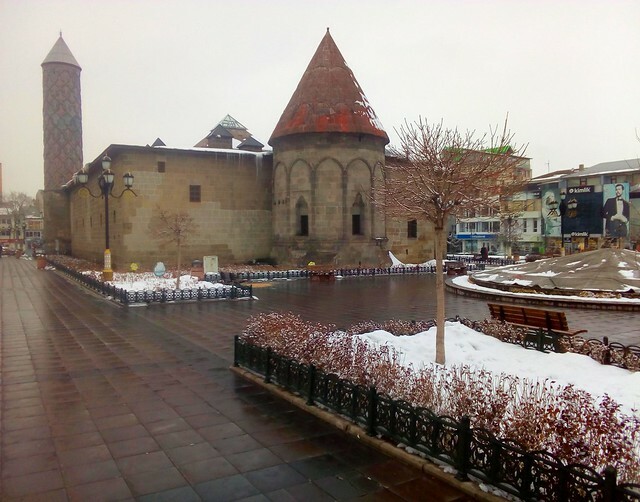 However, a carpet salesman whose shop is between Çifte Minareli Medrese and Üçkümbetler, another of Erzurum’s few must-see attractions, explained to me that there used to be lots of Europeans visiting Erzurum and they’d buy carpets. The Doğu Ekspresi selfie fans, on the other hand, don’t have so much cash. Now I sell refrigerator magnets, the carpet man lamented. Personally, I found Üçkümbetler more photogenic in the summer than in the winter, but quality doesn’t seem to be a social media photograph goal. 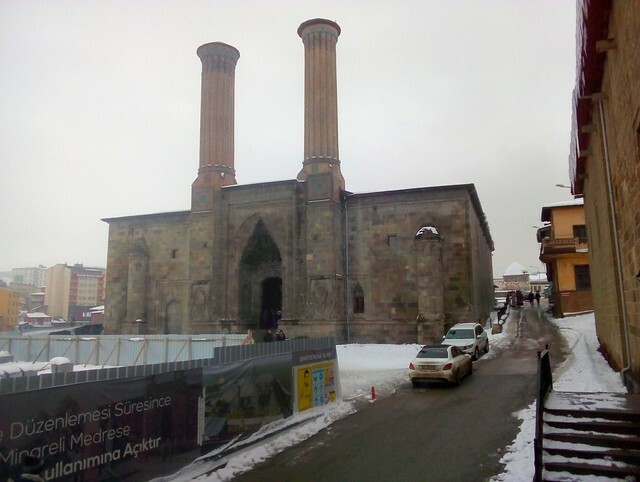 In Erzurum’s main square you find both Lalapaşa Camii and Yakutiye Medrese. 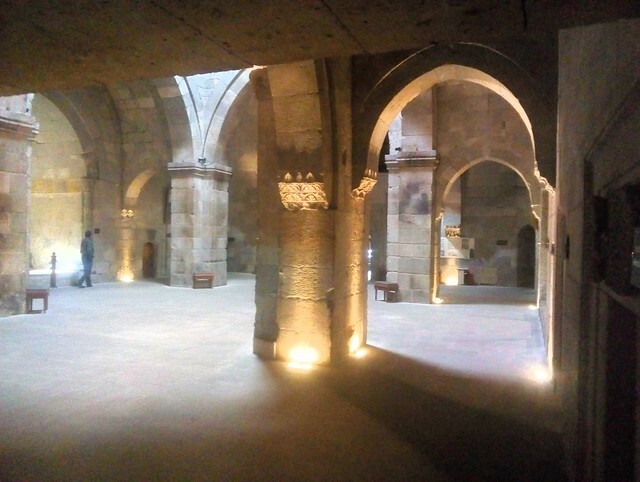 The mosque, well, it’s a pretty standard Ottoman mosque, but it’s worth going into the medrese, now housing a museum, more for the architecture than for the artifacts. Another difference I noticed in Erzurum this visit is that they’ve leveled old buildings and straightened twisty alleys, giving some old neighborhoods a wider and brighter feel. Erzurum has lost its character, I thought, it could be Ankara now. But what do locals think? 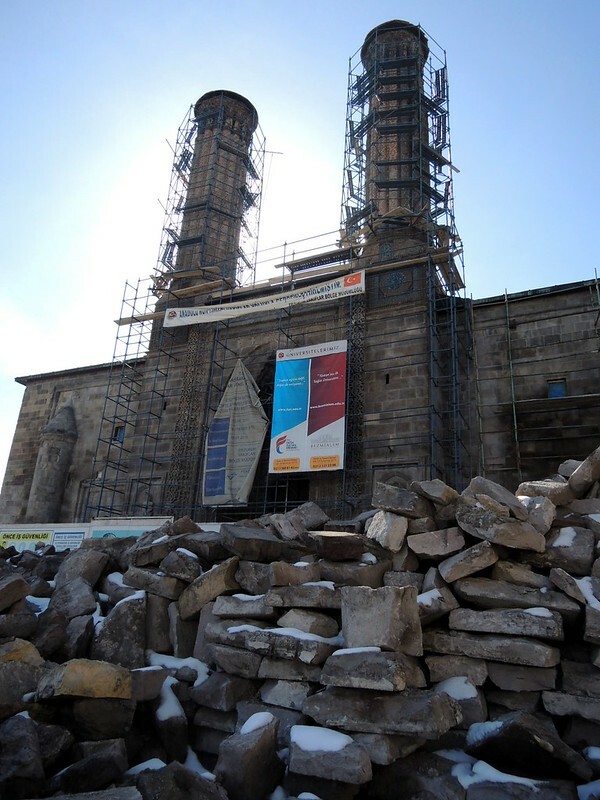 The hotel receptionist complained to me that they’ve torn down their history while another local loved the work the government’s done to modernize the city. Check out this nice park in front of the castle. That area was full of buildings during my last visit! 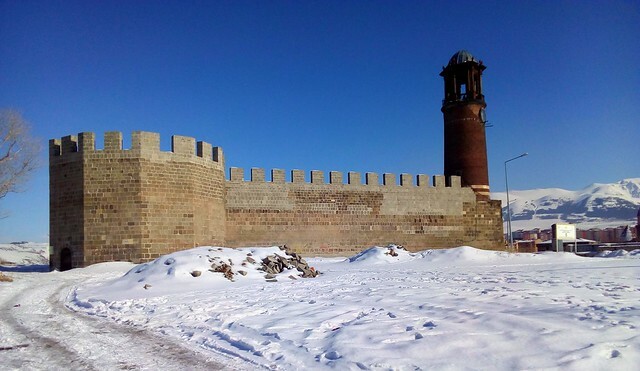 It’s not only China that destroys old neighborhoods in the name of progress. 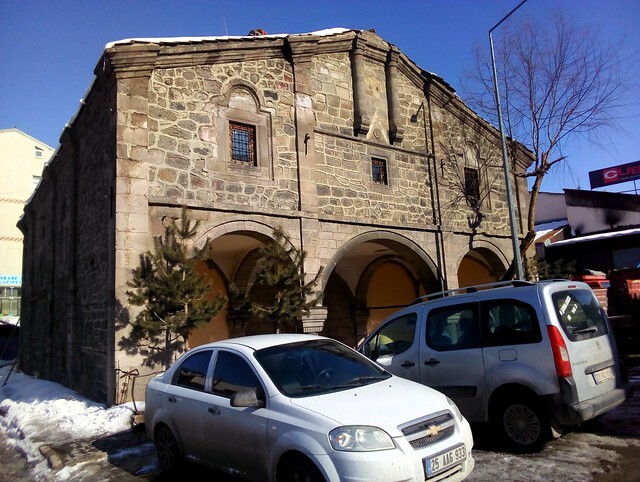 One thing that I bet the tour groups don’t visit in Erzurum is this 17th century Armenian church, Surp Asdvadzadzin Kilisesi, converted into a mosque as recently as 1997. I stumbled upon it for the first time on this latest visit. 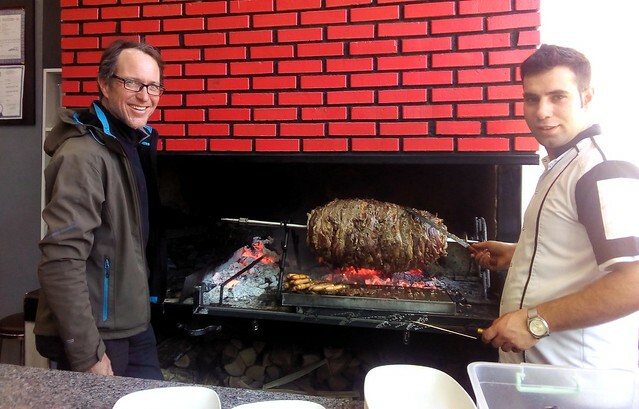 One can’t write an entire blog about Erzurum without mentioning cağ kebabı, Erzurum’s most famous food. It’s a döner, turned on end! 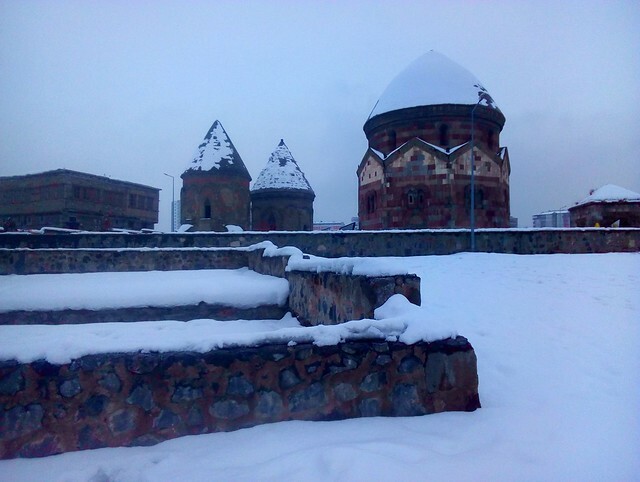 Ok, enough about Erzurum. Esra and İsmet arrived. 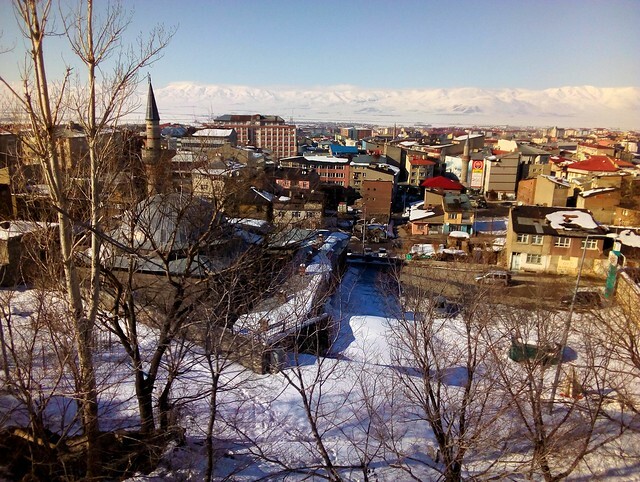 It’s time to head to the Kaçkar for some skiing. 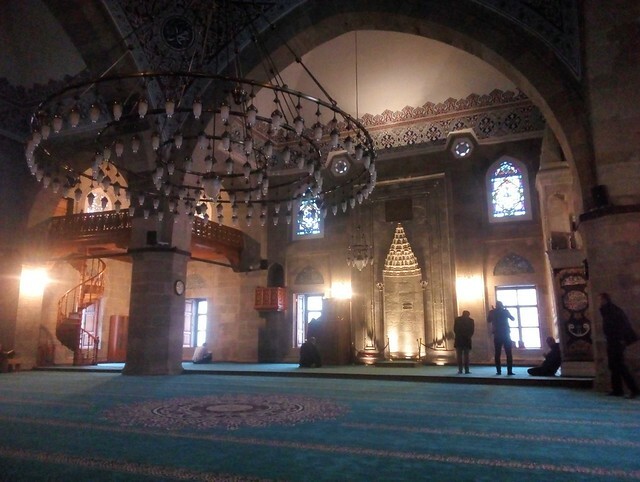 This entry was posted in Traveling, Turkey and tagged Erzurum. Bookmark the permalink.